Do you have significant training and/or work experience? Submit a portfolio to earn credit. Not all college-level learning takes place in the classroom. You still need a degree, but you already have college level learning acquired from experiences at work, volunteering in the community, military service, job training, independent reading, open source courseware study, and hobbies. Some people express themselves better in written form (via papers and essays), than they do on multiple-choice tests. If this sounds like you, consider earning the credits you deserve by putting together a written academic portfolio. What's required for you to complete a Portfolio Assessment? 1All ARTD courses are available for portfolio assessment; students may consult with the Coordinator of Art, Photography and Interior Design at 443-840-1568 for additional information. 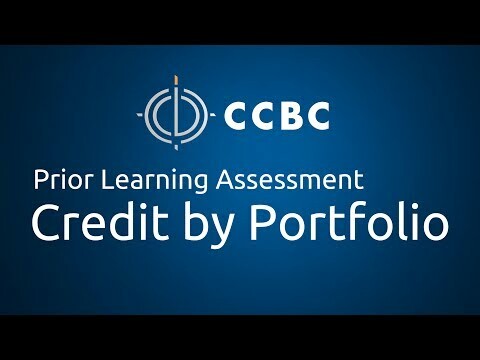 Explains the process of obtaining college credit by portfolio assessment at CCBC. Do I qualify for Prior Learning Assessment?